If you’re a screenwriter or are trying to become a screenwriter and you haven’t read Save The Cat by Blake Snyder click this link immediately and buy a copy from Amazon.com and read it as soon as it comes. Blake Snyder’s Save The Cat has really transformed the way Hollywood looks at scripts in the last few years much the way Syd Field’s Screenplay (also a must read book for any screenwriter) did in the early 80’s. A lot of what Snyder talks about is not new, he’s building on classic books about story structure like Field’s Screenplay and Joseph Campbell’s The Hero with a Thousand Faces among many others. But what Snyder does very well is boil it down into a nuts-and-bolts approach to coming up with marketable screenplay ideas and then building your story around those ideas. Part of the reason Save the Cat has been so successful, I believe, is because it’s filled with so much great information about writing a marketable commercial screenplay. Many people criticize his approach as being overly formulaic, but I personally think that’s non-sense and I dare anyone to think of a great film that doesn’t fit into Snyder’s paradigm. One of the things that’s happened in Hollywood is that Snyder’s terminology has become standard vernacular for discussing a screenplay. If you don’t know what the “fun and games” section of a screenplay is or you have never heard of “the dark night of the soul” you need to pick up a copy of this book right away because it’s quite possible that a producer will ask you about these sections of your screenplay and you better understand what they mean. It’s not unlike what Syd Field did for screenplay structure years ago, with his paradigm, plot points, act breaks, and three act structure (also terms all screenwriters should have mastery of). Save the Cat is all about story structure. He doesn’t spend a lot of time teaching you how to develop character or write great dialog, it’s all about coming up with a marketable idea and structuring it properly so it sells. 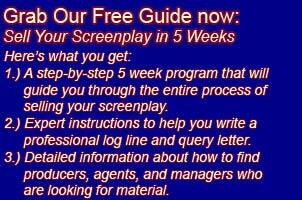 I think this approach is a great way to go, especially for beginning screenwriters. I know for myself, the first few scripts I wrote were so poorly thought out they really had no chance of going anywhere and if I had read this book before writing those scripts I think they would have been infinitely better. Part of the reason I think Snyder’s Save the Cat has been so well received by the industry is because it gives tangible benchmarks for people to measure a script against. While these benchmarks aren’t always accurate, they do have merit and if you’re a development executive wondering if this script is really any good or not you can at least measure it against Snyder’s paradigm to see if it measures up or not. And it becomes easier to reject a script because it doesn’t have all the proper elements that Snyder outlines. Things like developed characters, well written dialog, or hilarious set pieces are very subjective so it’s not always that easy to know if a script is well written using them. But Blake Snyder’s beat sheet is an easy yard stick to use, however fair or formulaic that might be. Snyder wrote three books before he passed away last year, Save The Cat!, Save the Cat! Goes to the Movies, Save the Cat! Strikes Back. I recommend all three books highly but found the second one, Save the Cat! Goes to the Movies very valuable as Snyder basically reverse engineers dozens of successful films using his paradigm. I found this very helpful to really understand the different sections that he outlines in his first book. You can buy a copy of Save The Cat at Amazon.com by clicking this link.